Next week Davido and Mafikizolo will gear up for the release of their highly anticipated collaboration ‘Tchelete’, a song fans of both camp have been anticipating. 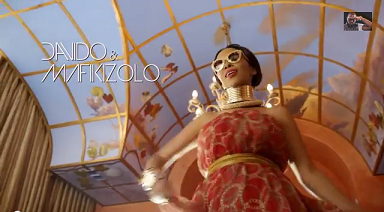 Before the official video release and unveiling of the track, Davido and Mafikizolo have dropped a teaser and so far so good. The teaser has already got a good response from fans via different social media platforms. Out April 30, ‘Tchelete’ is produced by Shizzi and Oskido. Watch the Nigerian and South African link up below.